Buy Infinity Foods Organic Glutenfree Tapioca Flour 500g in the UK from our online shop or directly from our independent Scottish store. This tapioca flour is certified gluten free with the 'crossed grain symbol'. It is suitable for people with coeliac disease. Gluten Free Tapioca Flour can be used for gluten free baking and for thickening sauces. We sell real Infinity Foods and other Gluten Free Flours & Mixes directly from our shop in Scotland and online throughout the UK. View more products from Infinity Foods. Where can you buy real Tapioca Flour - Organic safely online? If you are wondering where you can buy Infinity Foods Organic Glutenfree Tapioca Flour 500g safely online in the UK, then shop with us. 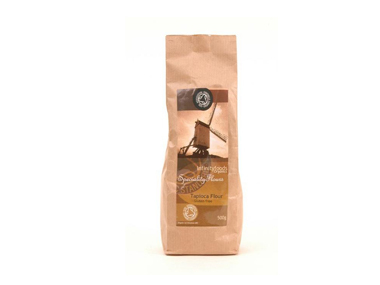 Tapioca Flour - Organic - Infinity Foods Organic Glutenfree Tapioca Flour 500g in Gluten Free Flours & Mixes and Baking.